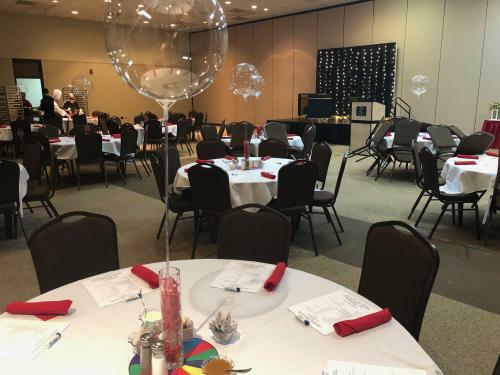 The Chisholm Trail Hall, the largest room, is great for banquets, large wedding receptions, fundraisers, campaign events, proms, and more. 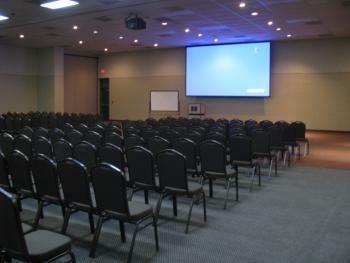 It seats up to 600 people theatre style and can be divided into thirds for smaller events. ** Average capacities allow for seating only. Head tables, buffet lines, staging, dancefloor, and other addtional tables will effect seating capacities. The Chisholm Trail Hall room rents by the section and by the hour. Call 580-252-2900 Ext. 240 for a price quote or submit a proposal request below.